Plan your memorable nuptials surrounded by lush gardens and the sounds of nature. Commemorate your wedding with a gift brick in the Fountain Garden promenade. More info here. …Such a beautiful setting! Thank you again for working with us to make the wedding so memorable for everyone. My husband and I really can’t thank you all at Klehm enough for making our big day so beautiful and special! Whether you are planning for 25 guests or 500, Klehm Arboretum is the perfect place to celebrate the start of your new life together. We offer a variety of beautiful indoor and outdoor settings to host your ceremony, reception and photography opportunities, all on our well maintained 155 acre campus of majestic trees and gardens. 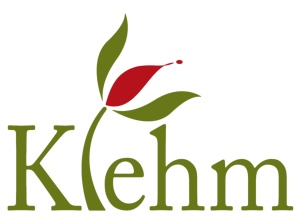 Make your special day truly memorable…at Klehm. Couples are encouraged to reserve well in advance, as dates fill quickly. To book your wedding or for rental details and availability, please call 815-965-8146. We look forward to speaking with you about your wedding! Happily ever after starts at Klehm Arboretum & Botanic Garden. Be one of the first couples to celebrate your special day at the brand new Garden Pavilion & Terrace. Our stunning, classic, white wedding tent with adjoining terrace can seat up to 500 dinner guests, all in a beautifully landscaped setting that is just steps away from the Fountain Garden, our most popular wedding ceremony site. Say “I do” and then dance the night away under the stars…at Klehm. Klehm’s most popular wedding site, the Fountain Garden can seat up to 300 guests. The pavilion and vine-covered trellis, surrounded by lush flowers and gardens provide the perfect backdrop for your special ceremony and picture taking. A cascading fountain adds to the ambiance and elegance of your day. Located inside the Visitor’s Center, this 3500 sf. banquet room has the perfect mix of indoor elegance and outdoor garden wedding party ambiance to provide a unique dining and dancing experience for you and up to 225 guests. Six glass sliding doors lead to an outdoor patio, overlooking the Contemporary Wildflower Garden. All of this is just a few steps away from the arboretum’s main walking path and beautiful Fountain Garden. Our grounds and amenities make Klehm the perfect wedding venue for your special day. A small, elegant wedding may be the perfect choice for you. We provide a memorable location with room for 48 guests to join your garden nuptials. Choose from several garden locations for this special day.